The new book stores in the centre of Helsinki offer good service, independent publications, coffee, and story times. Friends of print are in luck. 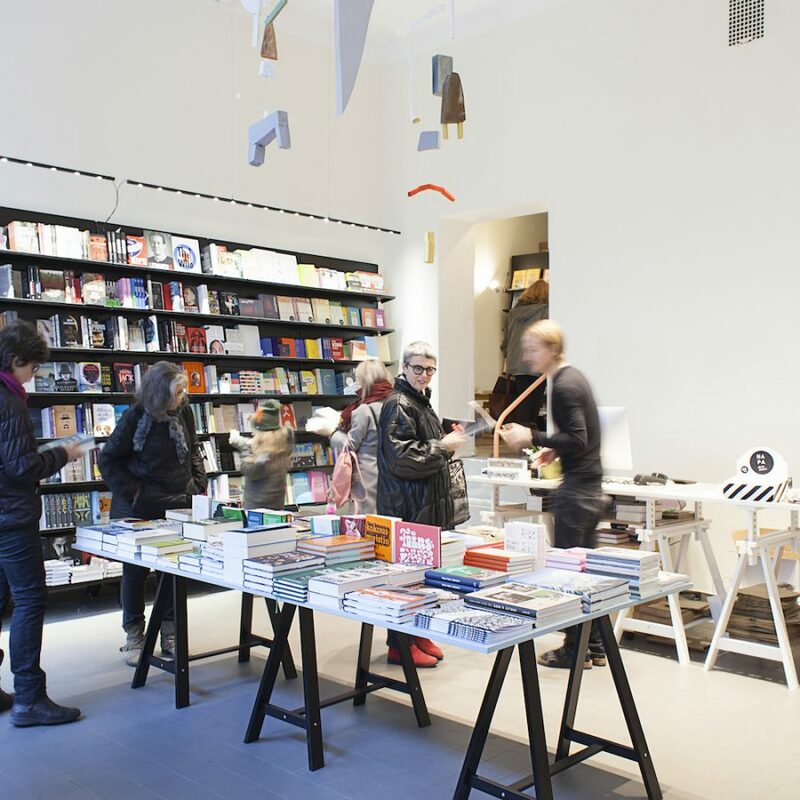 Two new and independent book stores have been opened within half a kilometre of the very centre of Helsinki: Kosminen on Eerikinkatu and Nide on Fredrikinkatu. Boasting a great selection and great services, Nide opened its doors in December 2015. Their selection encompasses art and design books, fresh works of fiction, stationery, and a growing array of design, fashion, and other specialty magazines. 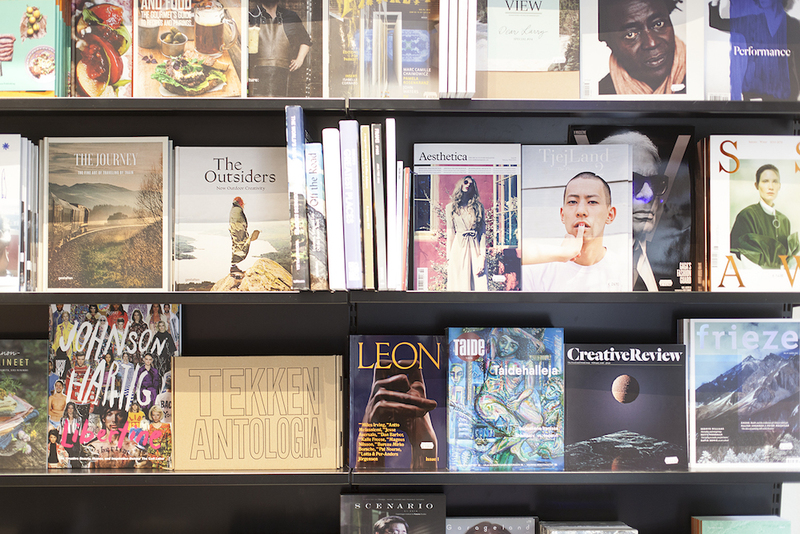 The store was founded by Joose Siira, who has previously worked for the book stores of Like, Korjaamo and Kiasma, and by Terhi Jääskeläinen, who formerly led the stores at Ateneum and Kiasma. 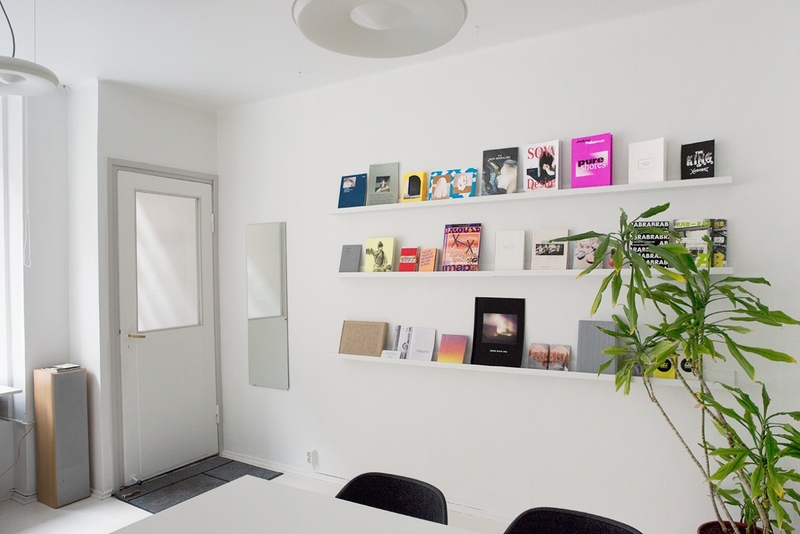 Kosminen is a tiny bookshop that sells independent publications and also functions as an archive of photography books. This cultural space has been formed by Khaos Publishing, a collective of young photographers called Kosminen, and the Photobooks from Finland archive. In addition to being a shop, Kosminen functions as a work space for the collective, and instead of shopping, you can drop in just to read the works included in the archive. Founder of Nide Joose Siira, and Iina Esko, who is responsible for the Kosminen offering, tell below why they have founded book stores and what are the best reads right now. Why do you have your own book store? Joose Siira: It was a must. We had been playing with the idea for years, and now that the Academic Bookstore and the museum stores have changed, we felt an external pressure, too. Iina Esko: Offering physical objects for sale in a physical space is justified. We also rely on the idealism of cultural promotion. What is your favourite book store? Siira: City Lights in San Francisco is my favourite. I am a huge fan of beat lit, and this store is one of its zero grounds. Classic places like this often turn into historical monuments, but this one remains a fully functional book store. Another favourite is Papercut in Stockholm. I like their magazine selection. Esko: Do You Read Me?! in Berlin. It offers a nice selection of both independent publications and socially and culturally aware books and magazines. Another favourite is Lugemik of Tallinn. They are rigorous about quality. Lugemik has published Finnish works, too. Why should we buy printed publications? Siira: Reading and carrying a book is nice. You can take a bath with it unlike with an e-reader! Esko: It makes you happy. What languages do you carry? Siira: Finnish, Swedish and English. Our Swedish and English selections will improve during the spring. We sell Finnish books in English and topical original English works. Esko: I aim to carry as many English books as possible as well as pictures-only publications. I don’t want to exclude anyone based on the language. What types of events do you arrange? Siira: We’ve hosted the publication party for the Raw View magazine on photography and workshops for Sanna Mander who is a children’s author. In the spring, we open a pop-up for the Napa Gallery. We’re open to suggestions! Esko: The Kosminen collective organizes invitation-only exhibitions. In March, we’re organizing a Rare Imports night featuring Asian publications among others. We’re also planning a stick-and-poke tattoo event. People worry about the profitability of the publishing business; what would you say to those who worry? Esko: It’s clear that we are not doing this to make a profit. People constantly talk about money as if they don’t have ideals anymore. But people do want to do good things. We want to support the culture of small publications. What do you recommend for people to read? Siira: Everybody should read Jonas Hassen Khemiri’s Everything I Don’t Remember. Takashi Hiraide’s The Guest Cat is also really good. Esko: The Tekken anthology (Tekken-antologia)! It is a project carried out by young Juho Hänninen (born in 1991). He was unemployed and thinking what to do next. He decided to write and produce his own zine for three years. Moon Space One is a great 3rd anniversary publication by a small publishing company in Stockholm. It presents eight artists; a combination of ease and integrity. is a journalist and producer. She contributes to both Finnish and international design publications, does TV and runs the Trojan Horse summer school. Her articles have been published in Apartamento, Grafia, The Guardian, Helsingin Sanomat etc.